PirateMod - Fer' the Pirate in yer' Soul! 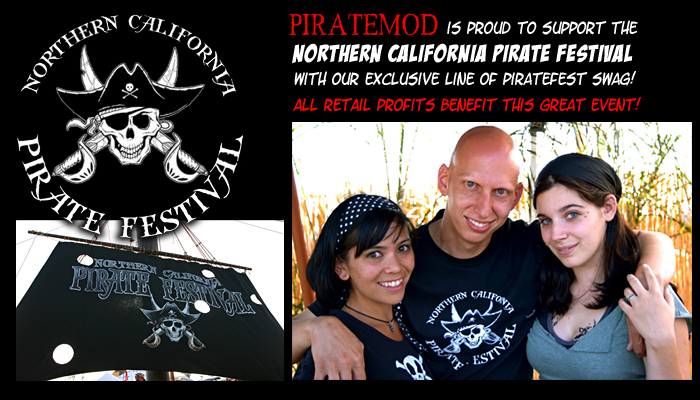 EIGHTH Annual PirateFest in 2014! This wonderful event celebrates pirates and swashbuckling from all walks of life, with several stages and street performances of musicians, sword-fighting, entertainers, mermaids, cannons and even a black-powder ship-to-shore battle featuring a real live pirate ship! The ticket price is but a mere 10 dollars, but we have a super-secret code good until THIS FRIDAY (April 18th) that will allow you to purchase your tickets at a special TWO-FOR-ONE Price!